Latest travel deal from Groupon: $415 per pax for 4D3N Bali Free & Easy with Hotel Stay + Breakfast + Return Flight + Plus Priority Card (Worth $688)! Though home is where the heart is, only on vacation do humans find their thrill kidneys and adventure glands. Complete missing portions of the anatomy with today’s Groupon: for $415 per pax, you get a 4D3N Free and Easy trip to Bali with a J Boutique Hotel Superior Room stay and daily breakfast, return air ticket by KLM Royal Dutch, return airport transfer and a complimentary Plus Priority card which entitles you to several benefits during your Bali stay (worth $688). Live out the classic resort fantasy in Bali, with no nagging guides reminiscent of old school teachers demanding that you rush from attraction to attraction. Take in panoramic views of idyllic beaches while soaking in the sun, sea and sand. ‘Plus Priority’ membership included for Groupon holders shuttle them to various parts of the island to explore parts of the local culture, including specialist shops or the colourful local market. Unwind in the luxurious rooms after a day out in the scalding tropical sun, and hole up with your purchases after jaunts into the city and central shopping districts. 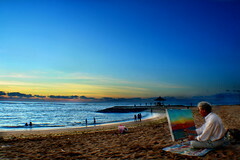 3D2N Bali Trip at $499 per Couple! 3D2N trip to Hong Kong for just $299!